Here are some revision ideas for the children to being doing alongside their learning at school/homework. Welcome Back – Term 5! This term, after SATs, we will be continuing with our topics from last term: ‘Around the Wold’ and ‘Light’. The children will be continuing to revise for and work towards their SATs. We will be preparing the children in every way we can, so it is as stress-free as possible! I will be continuing to send home homework, it is essential this is completed as it will be a continuation of SATs preparation. I have every faith in all of them and no matter what the outcome will be extremely proud of them all. PE will be on Wednesday (PE team) and Thursday (myself) this term, please have full kit in school on these days. As I would hate for the children to miss out on these sessions. If you have any questions or queries please see me after school, or make an appointment at the main office. The children will also be receiving weekly homework sent out each Monday and due in the following Monday. This will start on Monday 4th March. This term our topic is ‘Around the World’ in which we will be learning about the earth, hemispheres, different climates and lines of latitude and longitude. To support this we will be reading the children’s version of ‘Around the World in 80 Days’ by Jules Verne. In Science our unit of study is ‘Light”. During the term we will be learning about how light travels, shadows and how we see things. Our Maths lessons this term will focus on ratio and measurements. The rest of maths units will be revising what the children have learnt so far and addressing anything they are unsure of. As addressed in my previous letter, I will be sending home weekly homework for the children to complete. This will be handed out each Monday, starting from Monday 4th March and will need to be completed by the following Monday. English – Now we have finished our out of this world narratives, we are going to be writing to PERSUADE. 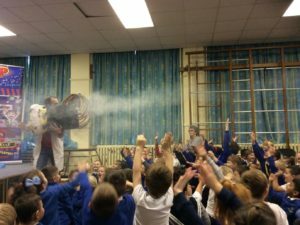 The children will be writing a persuasive advert urging people to apply to take part on Takeshi’s Castle. Maths – To ensure that we have really understood how to calculate percentages of amounts, we are going to be solving word problems that have multiple steps. This is great practice for our SATs and we will smash it! Topic – In Topic we are going to be learning about and researching Tokyo, the capital of Japan. 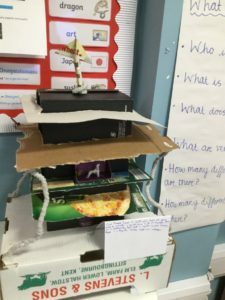 PE/Topic – For our class PE lesson, we are going to be creating our very own obstacle course inspired by Takeshi’s Castle. 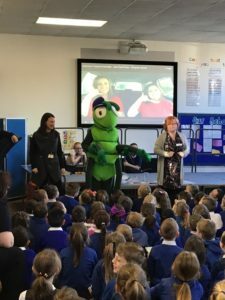 This will hopefully give us a taste of what it would be like to be on the game show and inspire our writing. 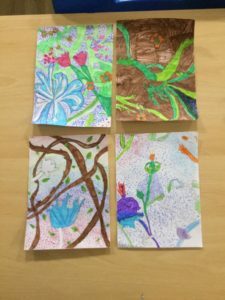 Art – To continue with experimenting with various painting techniques, we are going to be finger painting our cherry blossom petals. English – We will continuing with our phenomenal samurai narratives! Maths – In Maths we will be learning about how to find the percentage of an amount, and figuring out ways to make calculating this as simple as possible. Science – Our Science lesson this week will include learning about Carl Linnaeus and his system of classification. We will definitely need our thinking caps on for that lesson, as it is a little tricky! Maths – Now we have cracked decimals, we will be learning about percentages. Starting with converting fractions into percentages. Topic/Science – In Topic we will be researching Japanese animals and using our classification knowledge to classify them correctly. English – In English we will be working towards completing our discussion texts and creating our own opinionated conclusion. Maths – Our maths lessons will be continuing to focus on decimals, as we need to make sure we have 100% got this! Art – We will be experimenting with our straw-blowing paint technique to bring our cherry blossoms trees to life. Science – In Science we will be revising how we classify living things and considering why scientists do this. English – In English this week we will be continuing to write our balanced arguments. Focusing on using subordinating and coordinating conjunctions, colons and parenthesis. Maths – We will moving onto our next unit of study which is decimals. We will be learning about numbers with up to 3 decimal places, multiplying decimals by 10, 100 and 1000 and then multiplying by integers. Science – In Science we will be learning about how and why animals are classified. 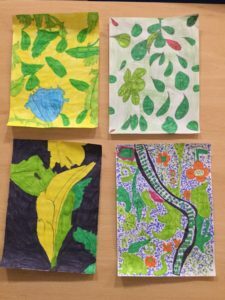 Art – We will be learning about cherry blossom trees and why they are important in Japan. From this we will then experiment with different painting techniques to create our own cherry blossoms. English – In English we will be continuing to study balanced arguments and practice giving reasons for and against. We will also be finding out our question for our balanced argument and will be researching and having debates to inspire our ideas. Maths – We will now be looking at division in maths, in particular we will be revising efficient methods for dividing by 10, 100 and 1000 – to help us with our arithmetic. Topic – Our Hook Day is on Monday and we will be learning about the location of Japan. We will then be learning about natural disasters and how Japan is often effected by these. As a result of this, we will then be designing and building structures that can survive earthquakes. Science – In science we will be classifying animals based upon their characteristics. Today we had our Hook Day for our Term 3 Topic… Japan! We had an absolutely fantastic day. Firstly, we learnt about where Japan is in the world and how it is located within the Ring of Fire. 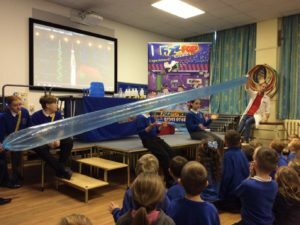 As a result of this, we learnt that Japan is vulnerable to being hit by natural disasters such as earthquakes, tsunamis and volcanic eruptions. Miss Carter taught us about the tsunami in Japan in March 2011 and showed us videos of the devastating scenes. We were then set the task of creating an action plan as part of the British Red Cross team. We had a budget of £25, 000, 000 and had to work in our teams to decide what aid was the most important and why – whilst remaining within our budget. Our next task was to put our knowledge of natural disasters to the test. We learnt about how the Japanese have adapted their buildings to survive earthquakes in different ways like: industrial cords, mass in the middle of buildings and traditional Japanese pagodas. 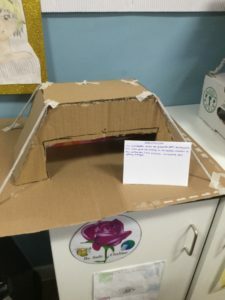 These designs each cleverly help to prevent earthquake damage and we then had to create our very own “earthquake-proof” building, taking inspiration from the designs we had observed. English – We will identifying the features of discussion texts and then we will be researching our own discussion text subject. Maths – In maths we are going back to basics to ease ourselves back in after the break. First, we will be revising column addition and subtraction and then applying our knowledge of this to solve reasoning problems. 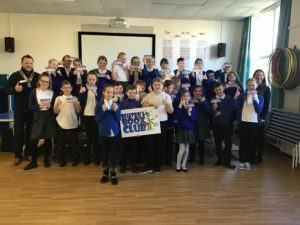 PSHE – In PSHE we will be setting ourselves New Year’s resolutions, and discussing why they are important to us. 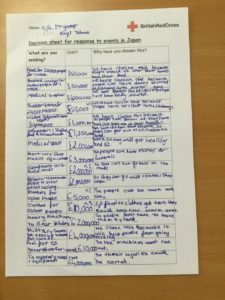 Topic & Science – As a class we will be a creating a list of questions about our units of study that we want to find the answers to throughout the term. This term our topic is ‘Japan’ in which we will be learning about the history, culture and present day life in this far away country. To support this we will be reading Kensuke’s Kingdom by Michael Morpurgo in our Guided Reading sessions. In Science our unit of study is ‘Living Things and their Habitats”. During the term we will be learning about the classification of animals, characteristics of different living things and micro-organisms. Our Maths lessons this term will focus on: formal methods, fractions, decimals and percentages. Alongside this we will also be continuing to regularly practice our times tables using Times Table Rockstars. In our English lessons we will be covering many different genres, many linked to our topic. We will have three different purposes for writing this term, such as: entertain, inform and discuss. The children will be writing a discussion text, a historical narrative, survival guide and a fact-file. If you have any questions or queries please see me after school, or make an appointment with the office. 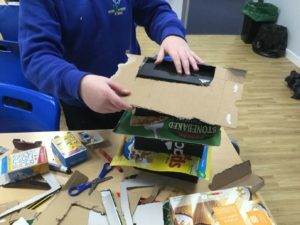 REMINDER: Hook Day Monday 7th January, any cardboard boxes (big and small) would be greatly appreciated. 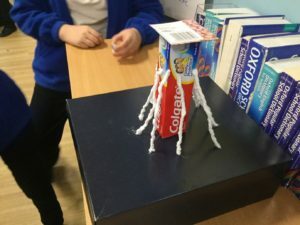 As the children will be building structures inspired by their topic. 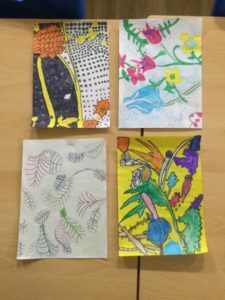 This term we have been studying the work of Victorian artist William Morris. We selected sections of his art and tried to recreate them using our most precise drawing skills. 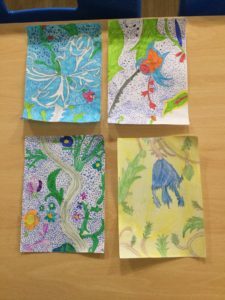 As a class we noticed there was a clear theme of nature, so tried to make our drawings as organic as possible – avoiding straight, rigid lines. We then decided on our own colour scheme to express our own interpretation. English – We will be writing a short poem as a snowflake that is desperate to be part of Christmas. Maths – In maths we will be concluding our fractions unit and revising the methods we have learnt. 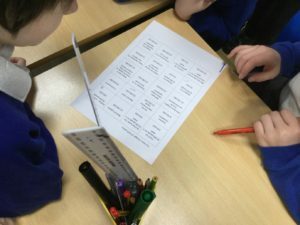 Topic – During topic we will be learning about what a Victorian Christmas would be like and how it would be different to our own. Science – We will be coming to the end of our Science unit next week and we will be learning bout how plants adapt to survive.